József Mindszenty was a cardinal and the head of the Roman Catholic Church as the Archbishop of Esztergom in Hungary. He became known as a steadfast supporter of Church freedom and opponent of communism and the brutal Stalinist persecution in his country. The item is an 8 X 10-color photo of him and it is signed. He is walking in a church procession. Jozsef Mindszenty is a significant person from the Cold War. He was tortured and imprisoned by the Communist regime. 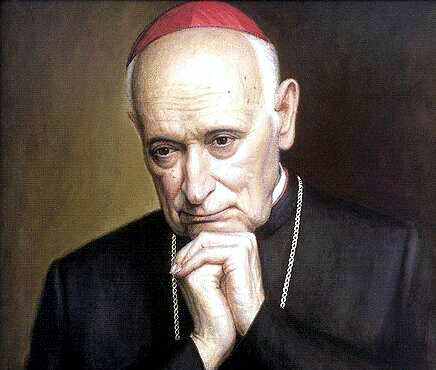 Upon the request of Pope Paul VI, in 1971, Cardinal Mindszenty departed from Hungry, still occupied by the communists, and settled in Vienna, Austria. Today he is buried in the Church of the Assumption, in Hungry, where pilgrims daily visit and pray for his intercession in their needs. As a result, he was tortured and given a life sentence in a 1949 show trial that generated worldwide condemnation, including a United Nations resolution. Freed in the Hungarian Revolution of 1956, he was granted political asylum and lived in the U.S. embassy in Budapest for 15 years. He was finally allowed to leave the country in 1971. He died in exile in 1975 in Vienna, Austria. Mindszenty was born József Pehm on March 29, 1892, in Csehimindszent, Austria-Hungary. His father was a magistrate. He became a priest on June 12, 1915. In 1917, the first of his books, Motherhood, was published. He was arrested by the socialist Mihály Károlyi government on February 9, 1919 and held until the fall of the communist Béla Kun government on July 31. He adopted his new name—part of his home village’s name—in 1941. He also joined the Independent Smallholders’ Party in this period, in opposition to the Fascist Arrow Cross Party. On March 25, 1944, he was consecrated bishop of Veszprém, which is a distinguished post because the town traditionally belonged to the queens of Hungary. He was arrested on November 26, 1944, for his opposition to the Arrow Cross government, and charged with treason. In April 1945, he was released from prison. On September 15, 1945, he was appointed Primate of Hungary and Archbishop of Esztergom (the seat of the head of the Roman Catholic Church in Hungary). On February 18, 1946, he was elevated to cardinal by Pope Pius XII. In 1948, the government banned religious orders. On December 26, 1948, Mindszenty was arrested again and accused of treason, conspiracy, and offences against the newly formed communist government’s laws. Shortly before his arrest, he wrote a note to the effect that he had not been involved in any conspiracy, and any confession he might make would be the result of duress. During his imprisonment, he confessed to working with Americans against the state of Hungary. Other outlandish confessions were attributed to him under great duress and torture. On February 3, 1949, his trial began. On February 8, Mindszenty was sentenced to life imprisonment for treason against the Communist government. The government released a book Documents on the Mindszenty Case containing evidence against Mindszenty including his confession. Mindszenty walked into court and openly confessed to the crimes he was accused of. On February 12, 1949, Pope Pius XII announced the excommunication of all persons involved in the trial and conviction of Mindszenty. 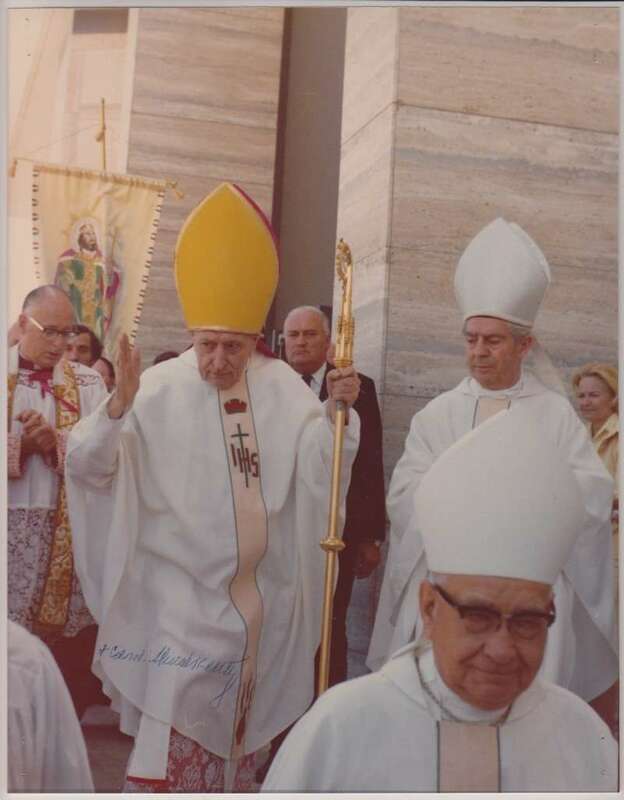 In his apostolic letter, Acerrimo Moerore, of January 2, 1949, Pius XII publicly condemned the jailing of the cardinal and stated he was being mistreated. He reiterated his support for Hungarian bishops and applauded their faith and courage. Mindszenty later said he had been hit with rubber truncheons until he agreed to confess. On October 30, 1956, during the Hungarian Revolution of 1956, Mindszenty was released from prison and he returned to Budapest the next day. On November 2, he praised the insurgents. The following day he made a radio broadcast in favor of recent anti-communist developments. The self-declared worker-peasant government of Janos Kadar later used his speech as proof of Mindszenty’s dominant clerical-imperialist position, which Kadar determined to be counter productive to the revolution. When the Soviet Union invaded Hungary on November 4, 1956, to restore the overthrown communist government, Mindszenty sought Imre Nagy’s advice, and was granted political asylum at the United States embassy in Budapest. Mindszenty lived there for the next fifteen years, unable to leave the grounds. The Hungarian government allowed Mindszenty to leave the country on September 28, 1971. Beginning on October 23, 1971, he lived in Vienna, Austria. Mindszenty died on May 6, 1975, at the age of 83, in exile in Vienna. 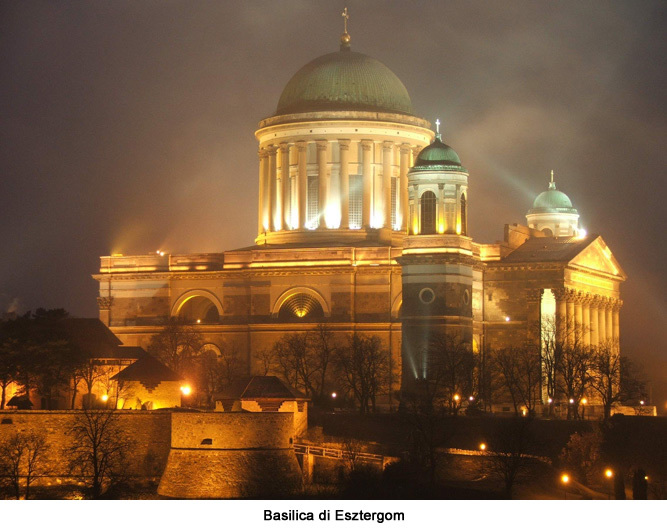 In 1991, his remains were repatriated to Esztergom by the newly democratically elected government and buried in the basilica there. Mindszenty is widely admired in modern-day Hungary, and no one denies his courage in opposing the Nazi and Nyilas gangs, or his resolve in confinement. He did not believe in a separation of church and state and fought fiercely against secularization of church-run primary and secondary schools. He also continued to fight for a return of church property confiscated during the communist era. His beatification and eventual canonization has been on the agenda of the Hungarian Catholic church ever since communism fell in 1989. The pontificate of Pope Benedict XVI is seen by many analysts as an excellent opportunity, as the Pope is equally traditional in his views on church and secular matters and has commented favorably on Mindszenty’s calling.